"Interesting that your headline describes the former GLA employees in question as 'Ken cronies', despite the article eventually getting round to revealing that the terms of their severance payments were approved by the Assembly and that no wrong-doing has taken place. Does this use of the term "crony" mean that the Standard will be describing Mssrs Malthouse, Parker, Milton and Browne as 'Boris Cronies' from now on? and can the rest of us describe Mr Gilligan as a 'Veronica Crony'? All in the name of fairness and consistency, you understand..."
A total of 33 comments have now appeared under the piece, including a number that are highly critical. Mine, though, is not among them. How odd. We have been assured told by someone who writes for the Evening Standard that the prospect of Ken Livingstone running again in 2012 is hilarious, the best thing that could possibly happen to Mayor Johnson four years from now. So why can't "London's Quality Newspaper" stop fighting the 2008 election? Haven't they noticed that their boy won? Or are they, perhaps, secretly worried that Livingstone might yet present a threat to him? I ask this only because they've seen fit to make the redundancy payments of Livingstone's former advisers their front page story. Er, scoop. Needless to say Veronica's Cat - who only ever deals in facts, you understand - manages to describe these people as "fanatically loyal" and "current or former senior members of Trotskyite group Socialist Action", just in case there was any doubt in our minds that the severance sums are undeserved. Of course, you eventually learn that there was nothing improper about the payments and that they are to be made under a policy approved by the Assembly to bring advisers' employment rights into line with those of permanent GLA employees. But that hasn't stopped the Standard describing these former mayoral advisers pejoratively as "Ken Cronies" in its headline and on its billboards all over town. This is a rather promiscuous use of the word "crony." Presumably, in the name of fairness and consistency, the Standard will from now on describe Tim Parker, Kit Malthouse, Sir Simon Milton, Ian Clement and the appealing Anthony Browne as "Boris Cronies." And presumably too the rest of us can start calling Andrew Gilligan a "Veronica Crony". But that would be a bit of a cheap smear, wouldn't it? UPDATE, 5/8/08 14.07: Now also at Liberal Conspiracy. "You lost, fair and square, because your man was a liar and a sleazebag, and I am proud to have exposed those facts to the people of London." Oh dear. It looks awfully rough over there. In case you hadn't already noticed. Here's a nice photo of the mayor I took this morning. I've posted it in the interests of balance. Heading home, I bought a copy of the Evening Standard and saw that even by its impressive, ah, standards it had been astonishingly nasty to Livingstone. It wasn't what was written about this morning's launch in Vauxhall of the anti-BNP poster but the way it was packaged and presented. The main photo shows Johnson and Livingstone standing together. Johnson looks fine, but Livingstone is captured at a moment when he's making a very unflattering face. Why choose that one for publication? No doubt photographer Jeremy Selwyn took loads of others in which both men looked as dignified as they behaved (after all, I managed it.) Surely, just for once, on an occasion such as this, the paper could have brought itself to treat the Labour candidate it so dislikes with a degree of fairness and civility. Apparently not. On the very same page of the newspaper is a smaller picture showing Livingstone in Peckham with Harriet Harman. This is used as an opportunity to remind readers of the Mail's and Standard's nasty little stitch up of Harman over her recent wearing of a stab vest - it all helps Boris press those crime buttons, see. Finally, there's a sneering review by Anne McElvoy of Livingstone's party election broadcast shown last night. That's how the only paid-for London-wide newspaper chose to document a day on which the political rivalries of the mayoral contenders were set aside in the name of the greater cause of preventing fascist involvement in the governance of the capital. You'd have thought, wouldn't you, that "London's Quality Newspaper" could have managed to do the same? Has Nick Cohen Got A Bit Carried Away? Last week the Observer and Evening Standard columnist used his space in the latter to explain how Brian Paddick can win. The trick is to bring about "a mass defection of voters from Ken to the Lib-Dems in the first round." Were this to occur, he writes, Paddick would reach the second round of voting, eliminating Livingstone, and then secure the mayoralty on second preferences. "As it stands, Livingstone can't be re-elected because Johnson is almost home." ...if, b) there are enough people caught in "a Left-wing dilemma" of hating Ken but hating Boris too to make that "mass defection," and if, c) Johnson makes "a spectacular blunder," before polling day. But that's three pretty big "ifs". And you have to wonder why he's bothering with advancing this case given that even those Standard readers entitled to vote in London seem unlikely to be troubled by that "Left-wing dilemma" in the first place. The answer, I suppose, is that his contempt for Livingstone is so intense that to him - and his employer - it seems worth it. "It's a sign of how malicious and incompetent the Mayor's campaign has been that he has smeared his rival as a 'racist,' which Johnson isn't, instead of a buffoon, which is how he often seems to many." "Unfortunately, Lee Jasper is its chair and the destruction of high purposes and public trust follows with a wearisome inevitability. The campaign has been hijacked and turned into a vehicle for Ken Livingstone. If you doubt me, listen to Jasper in a recent interview with the Voice. 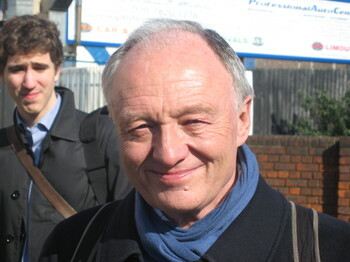 Readers of the Voice - or of the attacks on critics of Jasper on the Operation Black Vote website - can't doubt that this supposedly nonpartisan campaign is endorsing Livingstone, and that everything about its turn into party politics is wrong." Does Cohen's evidence support his case? Looking at OBV's website it's not obvious that it's a vehicle for re-electing Livingstone. Well, maybe I've missed something or stuff has been taken down. But let's look at Cohen's account of Jasper's interview with the Voice and compare that with the interview itself. Both Jasper quotes are reproduced accurately by Cohen. However, their relationship to each other in the Voice interview is very different from the one Cohen reports. The second did not continue from the first as he says it did. In fact, in the Voice interview the two Jasper quotes appear in the reverse order, in entirely different places and are wholly unrelated to each other. The second quote Cohen cites - the one about "Ken" being "declared the candidate of choice" - was part of the answer to the eighth question Jasper was asked in the Voice interview and was a prediction of the election result. It was not made in answer to a question about OBV or even about black voters in general. Indeed, OBV hadn't been mentioned in the interview at that point. And the first quote Cohen drew our attention to? That was part of Jasper's answer to a question about how he would be spending his time while suspended from his job - as he was at the time - and appeared right at the end of the fourteenth and final question put to him by the Voice's interviewer. The full answer to that question contains no reference to any political party or politician. Unless I'm very much mistaken, Cohen has completely misrepresented what Jasper told the Voice in order to sustain his accusation that Operation Black Vote has been "hijacked and turned into a vehicle for Ken Livingstone." Malicious? Incompetent? Or am I being terribly unfair? Not surprisingly, Tories are hoping Andrew Gilligan has - as one put it to me - "a nuclear bomb in his locker." If so, will it be about donations? I have no idea. But he and the anti-Ken press are already working the territory. See here and here and here and here. My view of the Evening Standard's investigations is straightforward. The misuse of public money and the misuse of power by public officials is quite obviously a legitimate subject for journalistic inquiry, and Andrew Gilligan has been right to seek to expose it. It is also the case that he and the Standard are bent on removing Ken Livingstone from City Hall - AG says so himself. With an election approaching it is therefore reasonable to ask certain questions about the timing, tailoring, prominence and presentation of the Jasper stories, especially as the Standard enjoys a monopoly position as London's only city-wide, paid-for newspaper. It is arguable that the Standard's influence on voters is small and in many cases even counter-productive. Nonetheless, it has set the agenda for much of the election coverage thus far, with the BBC and other newspapers hostile to Livingstone following up. Jasper has become an issue in the campaign and the insinuation is that his failings are emblematic of the Livingstone mayoralty as a whole. Maybe that's right. But voters need to make a careful judgement about that, this one included. It comes down to deciding how important the Jasper story is in the wider scheme of things. In light of the Standard's political agenda, making that decision involves assessing whether the paper's telling of the story has been fair. Has Jasper been depicted too crudely or negatively? Have the stories been compiled in a way designed to reflect as badly as possible on him and could other, less damning interpretations of his involvement have been made? Has the whole thing simply been oversold? Please note that I'm not querying a single fact in any of the articles concerned, and I don't intend spending the next six weeks checking them. I've got other things to do and I would, in any case, be very surprised if any were wrong. I am, though, interested in anything I can publish here that adds to the picture of Jasper painted by the Standard and, indeed, any of the other individuals and organisations to feature in its coverage of him. Jonathan Myerson's account of his various dealings with Jasper and the Green Badge Taxi School clearly falls into that category. Andrew responded with a rather sharp comment, but Jonathan's account isn't much at odds with his in its essentials. Both have perspectives the other doesn't, but the significant difference lies in Jonathan's less damning view of Jasper's conduct and motivations, one he holds despite finding Jasper both disagreeable and unsatisfactory to deal with. From this voter's point of view, that seems relevant in terms of weighing up how important the Jasper affair is. I'd be pleased to hear from anyone who can help me further with that, or provide any insights into the workings of Ken Livingtone's mayoralty, whatever their perspective on it is. "After we [the Evening Standard] ran our first story about the Green Badge Taxi School on 21 December 2007, the LDA issued a press release claiming our story was 'totally misleading' and that its own investigations had found there was 'not sufficient evidence to justify further criminal investigation.' Even then, the LDA's priority was clearly to protect Lee Jasper's back rather than its own money. Luckily the police were interested in our evidence and seem to have put it to good use." "Whilst I have concerns about Green Badge’s probity, I think that there is insufficient evidence to justify a referral [of] the case to the police and asking that they investigate. The LDA may wish to consider raising with the Inland Revenue the tax treatment of the income generated from the taxi rental." Nonetheless, to ensure that this matter was completely dealt with, the LDA referred it to the Metropolitan Police and - as suggested by the legal advice - HM Revenue and Customs and the Charity Commission. The Metropolitan Police agreed in November there was not sufficient evidence to justifying further criminal investigation." Have The Evening Standard & Andrew Gilligan Called Lee Jasper A Criminal? "The Standard does not withdraw a single word it has printed about Mr Jasper. But in all those thousands of words, one word we have quite deliberately never used about him is 'corrupt'. (It was used, once, in a quote by somebody else, not referring specifically to Mr Jasper.) Mr Jasper's alleged offences are not criminal. They are offences of misconduct in public office. We have not, so far, accused him personally of anything the police might be interested in. Our charges against Mr Jasper are of cronyism and misuse of public funds. We do not claim, and never have claimed, that he has been lining his own pockets. What we say is that he has been lining his friends' pockets, with your money, and protecting them as they, shall we say, lose it." "The advice of the GLA's Monitoring Officer is that the Evening Standard has made allegations which if supported by evidence could amount to criminal offences. What is missing is the evidence. The fact that the Evening Standard have not used the word corruption does not mean that they have not alleged criminal activities have taken place. 'Misconduct in public office' which Andrew Gilligan said was all that they had alleged in a recent article is a criminal offence that carries a maximum penalty of life imprisonment." See the whole comment here. The Monitoring Officer is appointed by the London Assembly - not the Mayor - to ensure that GLA employees and elected representatives - including the Mayor and his advisers - do not act outside the Law and has the power to overrule the Mayor on legal issues. After Ken Livingstone suspended Lee Jasper and referred the Gilligan/Standard articles to the police, inviting them to investigate whether Jasper had committed any criminal offence, the Monitoring Officer provided the police with an assessment of the Evening Standard's articles. This was later circulated to the leader of each party on the Assembly prior to its Q & A session with mayoral advisers on 5th March (the one Lee Jasper would have been at had he not resigned the day before). I have obtained a copy of the Monitoring Officer's assessment and reproduce the relevant section in full below. The reason the numbering starts at 2 is because the first item addressed in the document relates to a separate matter. Its conclusions about the limits of what Andrew Gilligan and the Standard allege are significantly different from those of their author. 2. The Evening Standard on 21 February [in an article by Andrew Gilligan] alleges that "Mr Jasper’s alleged offences are not criminal, They are offences of misconduct in public office.' This, however, is a clear error in law by the Evening Standard. 'Misconduct in public office’ is a criminal offence under the common law and therefore this is clearly a criminal allegation against Mr Jasper. Halsbury’s Laws of England states: ‘A public officer commits the common law offence of misconduct in a public office if, acting as such, he wilfully neglects to perform his duty and/or wilfully misconducts himself to such a degree as to amount to an abuse of the public’s trust in the office holder, without reasonable excuse or justification. The offence is punishable by imprisonment for life or any shorter term and by fine at the discretion of the court.’ This alleged criminal offence undoubtedly relates to the six organisations you are investigating. 3. According to reports in the Evening Standard of 28 January the Metropolitan Police raided the Deptford offices of Ethnic Mutual and executed a search warrant at the Brockley home of Titus Boye-Thompson, Ethnic Mutual's secretary – indicating they considered possible criminal activity was involved in regard to Ethnic Mutual. Andrew Gilligan alleged in the Evening Standard of 28 January ‘Lee Jasper has admitted that £18,000 of City Hall money was improperly diverted to bail out a private company of which he is a director. Following enquiries by the Standard, Mr Jasper admitted today that the £18,000 of taxpayers' money was diverted from Ethnic Mutual to a private company, African Caribbean Positive Image Foundation, of which he was company secretary. ACPIF was recently dissolved without filing accounts.’ Mr Jasper has denied knowledge of what appears to be an improper, or possibly illegal, transaction until October 2007 despite being a director of the company. If this denial is true this would presumably exonerate him but evidently if there were evidence that this denial was false this might involve a criminal activity. 4. Andrew Gilligan wrote in the Evening Standard on 5 December: ‘‘A senior adviser to the Mayor, Ken Livingstone, is under GLA investigation after at least £2.5 million in City Hall money was channelled to organisations controlled by himself, his friends and his business associates. Lee Jasper, the Mayor's director of equalities and policing, is at the centre of a network of companies which have received large sums of public money from Mr Livingstone while appearing to do little or no work in return. Hundreds of thousands of pounds of public money paid to the companies is unaccounted for or has disappeared.‘ If money which is ‘unaccounted for or has disappeared’ was directed to organisations ‘controlled by himself [Lee Jasper] his friends and his business associates’ this would presumably involve potential criminality. 5. The Evening Standard of 21 February also accuses Mr Jasper of ‘misuse of public funds.’ This can be a criminal offence depending on the circumstances. This clearly relates to the six organisations you are investigating. 6. The Evening Standard of 21 February alleges that: ‘What we say is that he has been lining his friend’s pockets, with your money, and protecting them as they, shall we say, lose it.’ If that were true there may be offences of fraud. This clearly relates to the six organisations you are investigating. The Evening Standard alleges that LDA and TfL grants were gained thanks to the ‘strong support of Lee Jasper.’ This alleges money was diverted to an Inner City Fund controlled by ‘associates’ of Lee Jasper. If such diversion of money took place, this could constitute a criminal act and it would be necessary to ascertain if Lee Jasper was involved given that allegedly this money was only given to the company due to the strong support of Mr Jasper. 8. The Evening Standard alleged on 21 February: ‘the Green Badge Taxi School, run by two close associates of Mr Jasper… received £280,000 thanks to him. We have in our possession copies of bank statements showing that literally within days of the grant being paid, almost all of it was siphoned off to front organizations run by Mr Jasper’s associates.’ If such siphoning off of money took place within days of it being granted ‘thanks to him’ this clearly raises the question of whether Mr Jasper was an accomplice to what is clearly allegedly criminal activity. 9. The Evening Standard on 7 December accused Lee Jasper of ‘funnelling hundreds of thousand of pounds of GLA money to an organisation, Brixton Base’. Clear evidence has come to light that Lee Jasper intervened vigorously in order to prevent Brixton Base being evicted and in order to maintain its operations. This may of course simply be a policy position and therefore not a police matter. However if the current investigation shows that criminal activity were involved with Brixton Base it would seem important to know if Mr Jasper’s support for Brixton Base were purely a policy matter or whether there were evidence he was an accomplice in criminal activity given his role in supporting Brixton Base. On 5 December Andrew Gilligan alleged: ‘Mr Jasper, 49, is one of seven policy directors – the London equivalents of civil service permanent secretaries – who work at the Mayor's side developing and implementing policy at the highest level. Mr Jasper has worked for the Mayor since Mr Livingstone was first elected seven years ago, reporting directly to him and earning more than £111,000 a year. They have been longstanding political friends and allies for many years. ‘The officials have considerable influence over grants, some paid directly by the Mayor's office and others by Mr Livingstone's wholly controlled economic development body, the London Development Agency. ‘One grant recipient, Diversity International, controlled by a long-standing friend and business associate of Mr Jasper, Joel O'Loughlin, received £295,000 in LDA funding for the Diversity Dividend, a web-based tool for London business, even though the business consultancy has no expertise in computers and is based in Liverpool.’ The police are currently investigating Diversity International, and if a contract were awarded to an incompetent company controlled by a long standing friend and business associate of Mr Jasper, there is a clear suggestion that Mr Jasper was a party to possible criminal action.